Due to the presence of many offenses, the Lord does not accept service from the crooked, even if they offer him many valuable items. This was seen when Krishna went to the capital of Duryodhan as a messenger on behalf of the Pandavas. Although Duryodhan tried to win Krishna over with a royal reception and great opulence, Krishna rejected Duryodhana’s hospitality because of Duryodhana’s offensive attitude towards Krishna’s devotees. “There are many persons who have little opportunity to take part in discussions about the Supreme Personality of Godhead, Hari, and thus it is difficult for them to chant his infallible glories. In the first of these two verses, the sage Chamas declares that out of the various divisions of human beings, those who are ignorant should be favored by devotees like King Nimi. But by the second verse, he intends to say that those who are proud of petty knowledge are incurable and should thus be avoided. 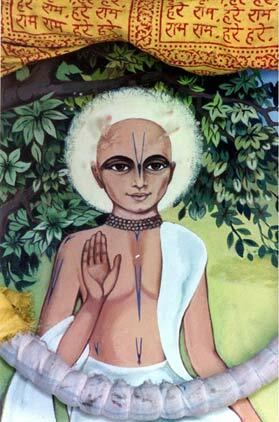 — Bhakti-Sandarbha, anucchedas 153 and 154. Adapted from the English translation of Satya Narayan Das. Jiva Institute. Vrindavan. 2005. Sanskrit text taken from Gaudiya Grantha Mandira.